Greetings friends! 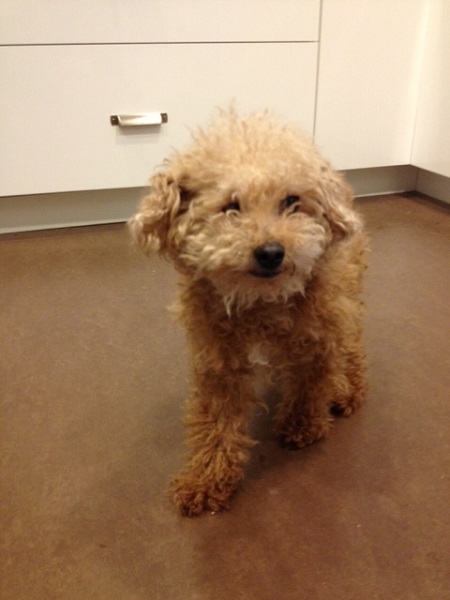 My name is Bear Bear a 9 year old Toy Poodle, and wouldn’t you know it? I’m a big cuddler! My New Year’s resolution this year is to find a quiet home where I can really focus on my favorite hobbies, crossword puzzles and reading the great classics. I’ve done the high-energy households and that’s just not my scene. I’m a boy that is ready to be mellow, maybe take a few walks, romp around in the sunshine and settle back at home for a nap. I do well with other animals, although I have to admit big dogs can be a tad intimidating for me! I enjoy my own space an awful lot, so I prefer a home with no kids. What do you think, am I the boy for you? I am fixed, vaccinated and microchipped. My adoption fee is $180. I am currently living in foster care.